Maybe you’ve signed up for a blog and you’re wondering what to do next? We’re here to help. First, if you’re very new to blogging, you might want to check out this video that describes what exactly a blog is and how it works. Tip: This can be handy to show students too. This 15-minute video tutorial walks you through setting up your blog. It’s like a quick start guide to get you going if you’re totally new to blogging. Tip: If you’ve already signed up and want to know what to do next, you can start at the 1 minute 40 mark, or click here to go straight to that point. Want to go over some of the topics covered in this video again, or in more depth? Here are the links to the specific written tutorials. Want to learn more about Edublogs or introduce it to colleagues or parents? This overview of Edublogs can be viewed as a Google Slides presentation or as a PDF. 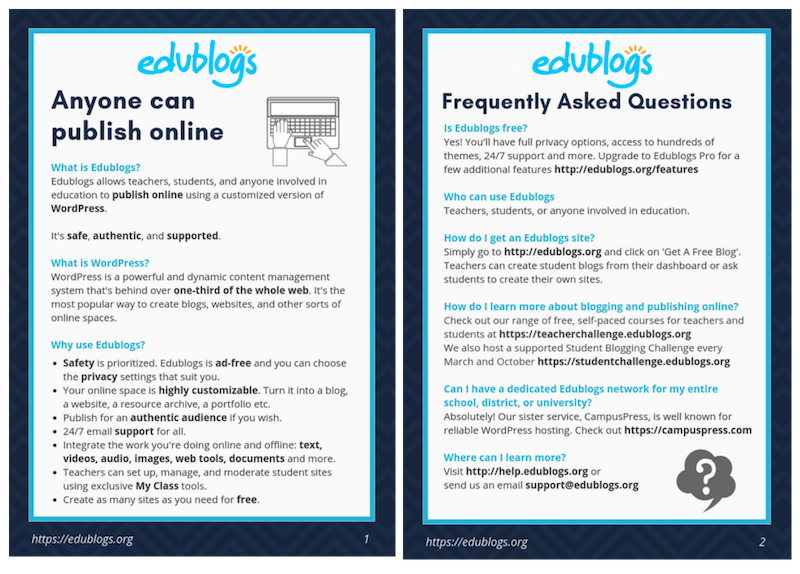 This two page document explains Edublogs in a nutshell and goes through some frequently asked questions. Distribute it to staff or share it with parents. Want to learn more about blogging step-by-step in your own time? We have a series of free self-paced courses for students and teachers that help you learn to blog. Want your students to learn more about blogging while connecting with classes around the world? 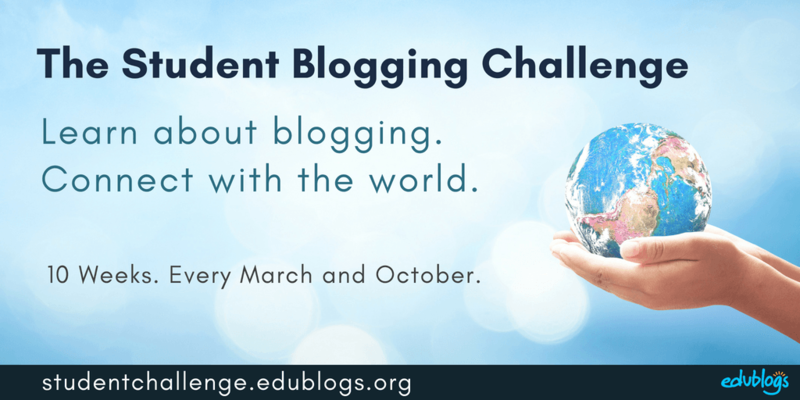 The Student Blogging Challenge runs for ten weeks and begins every March and October. It’s hosted by teacher/blogger Kathleen Morris. Find out more about the challenge. Now it’s time to explore our help and support site further. This is the place where you can find everything you need to know about setting up and customizing your blog. Make yourself familiar with the search function and the user guides. Note: All the Edublogs help resources also apply to CampusPress blogs. 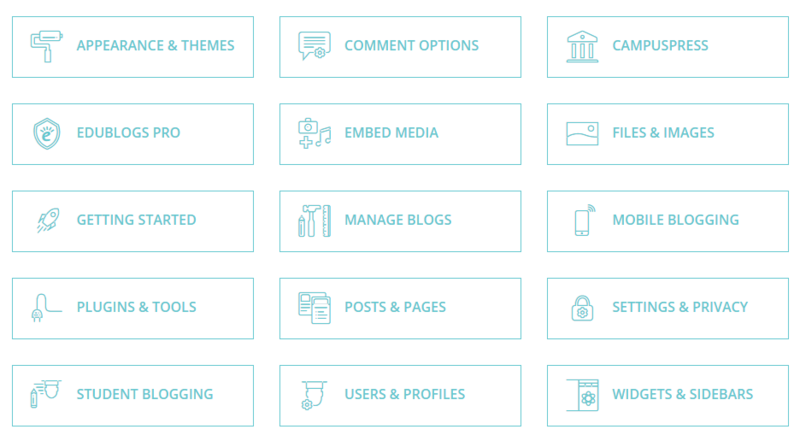 When you’re working in the dashboard of your blog, look for the “Need Help?” box in the bottom rright-handcorner. 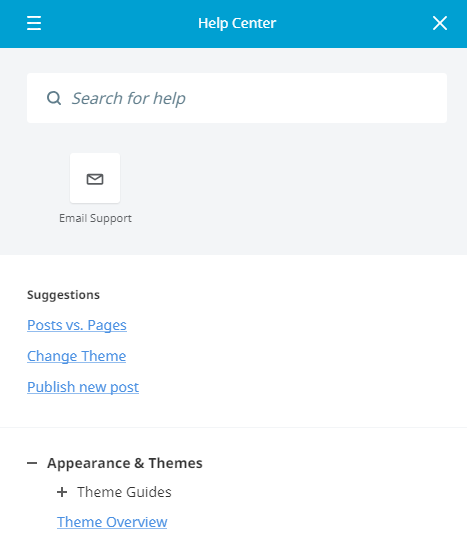 Clicking on this brings up a help menu where you can search or browse help guides, or email support. We’ve written lots of articles on The Edublogger that help you become a better blogger. TIME Not sure if you have time to blog? This post offers some suggestions on how to face this obstacle. PARENTS Want to get your students’ families engaging with your class blog? Here are some ideas and examples for you. PRIVACY Unsure whether your students should be publishing publicly online? We weigh up the pros and cons, and explain the options available with your privacy settings. DIGITAL CITIZENSHIP Blogging is an excellent way for students to learn about digital citizenship in a supported and authentic environment. Learn more. CLASS BLOGS Want to look at examples of different types of blogs? We maintain a list of various examples of blogs which should provide you with some inspiration. STUDENT BLOGS Interested in student blogs or digital portfolios? Take a look at the way other teachers use student blogs in the classroom. MAINTAIN MOMENTUM Having trouble keeping up your teacher blog? We have 12 tips for you. POST IDEAS Not sure what to write about? Students: We have a mega guide of over 100 prompts and ideas for blogging with students. There are 50 more ideas for students here. Teachers: If you’re a teacher blogger, we have 50 ideas for you here. There are another 50 ideas here. If you have any questions about Edublogs, drop a comment below. Or if you have any suggestions for more resources that would help you introduce Edublogs to others, be sure to let us know. Need more help? Remember, You can email our support team any time. It can sometimes feel overwhelming to look at established blogs with lots of content and attractive features. Comparison paralysis or fear of imperfection is common when starting something new. Please don’t worry! At the end of the day, the best way to learn is to start. Your first blog posts probably won’t be perfect but that doesn’t matter. Demonstrating to your students that you too are a learner and willing to give new things a go is an excellent trait. So it’s time to jump in and start blogging. Have fun!